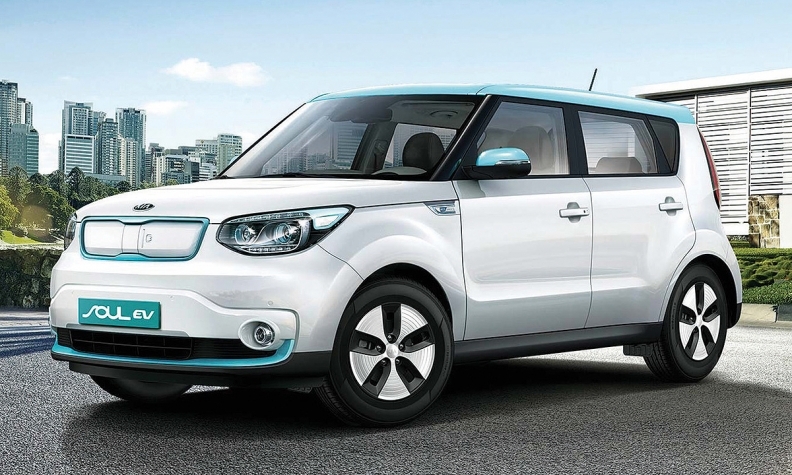 Kia questioned the need for a law since the Soul EV is already available in 11 Quebec dealerships with plans to add more before year's end. Québec’s zero emission vehicle (ZEV) law could come into effect within a matter of weeks, forcing automakers that sell vehicles in the province to offer a percentage of models powered by electricity in accordance with the overall number of vehicles they sell in the province per yearly. ZEV percentages will start at 3.5 in 2018, rising to 15.5 per cent of sales by 2020. Automakers contacted were generally supportive of the bill, and confident they could meet its opening percentage demands. Québec will join 10 United States states that have also voted for similar laws. Championed by Québec Minister of Sustainable Development, Environment and the Fight against Climate Change, David Heurtel, Bill 104 seeks to “stimulate” the ZEV supply, giving Québec consumers access to a greater number and a wider variety of plug-in vehicles. The bill will require automakers to sell or lease a minimum number of zero-emission vehicles (ZEVs) through a tradable credit system. Heurtel also said that the government would invest in infrastructure to support these vehicles and reach the objective to have 100,000 ZEVs on Québec roads by 2020. ZEVs include pure battery electric vehicles (BEVs), plug-in hybrid electric vehicles (PHEVs), and hydrogen fuel cell electric vehicles (FCEVs). In statements issued to Automotive News Canada, automakers supported Québec’s initiative. Ford pounced on the challenge, announcing a publicity campaign starting this month promoting its EV cars, the C max and Focus EV with zero per cent financing for 84 months. Ford will also put together a promotional program for hybrid plug-ins and EVs to go into shopping malls across Québec. Nissan “generally supports” such initiatives, believing them “essential” to meeting Québec’s coming mobility needs, as did Kia which questioned the need for imposing a law; its Soul EV is already available in 11 Québec dealerships with plans to add more before year’s end. Kia will add the Niro plug-in to its EV lineup before the end of 2016 and next year, the Optima EV plug-in hybrid. By starting the ZEV percentage at 3.5 and announcing it now, Heurtel said the government is giving manufacturers time to adapt and to prepare for the change. It is the same approach, he said, as adopted by the 10 U.S. states that also voted for ZEV laws in 2014: California, Connecticut, Maine, Maryland, Massachusetts, New Jersey, New York, Oregon, Rhode Island and Vermont state legislatures in the United States. Exploiting advantages in electric vehicle technologies will grow the economy “and achieve our objectives in the fight against climate change,” Heurtel said. “We are on the road to the new 21st century economy, a prosperous lower-carbon economy, and the vehicles that will get us there will be zero-emission vehicles,” said Heurtel. The 3.5 per cent ZEV standard is one part of a set of measures provided for under the 2015-2020 Transportation Electrification Action Plan to help increase ZEV numbers in Québec and make them more accessible to consumers. As a result in the coming years, Québecers could continue to take advantage of rebates when buying ZEVs or installing charging stations at home and at work. Besides the plan to put 100,000 electric and hybrid vehicles on the road by 2020, the government wants to assist in the creation of 2,000 new jobs in the electric vehicle industry.